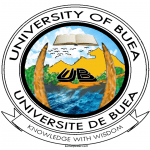 Vision of College of Technology University of Buea. Motto: Train Locally, Qualify Globally. In fulfillment of its vision, COT will produce highly competent senior level technicians in critical engineering fields imbued with the skills to be immediately productive on the job or capable of sustainable self-employment. Provide basic and specialized education in a learner-centred environment, which will enable life-long learning. Emphasize hands-on training so that graduates are immediately effective in the job. Create enduring relations with industry for internships and continuous dialogue on academic programmes and with professionals for supervision of students during internships. Create opportunities for professionals to present problems and the solutions they provided, emphasizing the engineering/scientific content, teamwork, and leadership skills. Provide extended continuing education and skills conversion to working professionals and to graduates of general disciplines. Encourage research not only for the creation of new knowledge but also for application to the solution of practical problems of industry. Provide training in professional domains to graduates of faculties in order to improve on their (self) employment potentials. Possess in depth theoretical knowledge and practical skills of a chosen technical domain. Be able to transform acquired skills and knowledge to problem-solving capability on the job. Be flexible to function effectively in different types of work environments. Understand the consequences of engineering and technology on society.